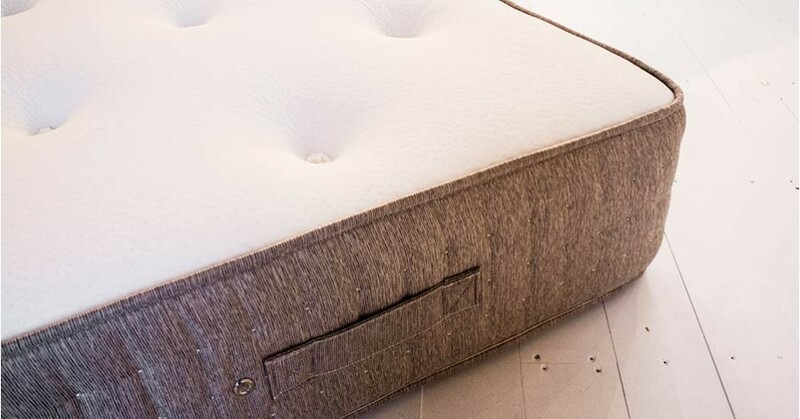 Our 1000 pocket sprung mattress (Bespoke) enables you to select from a range of height and width size options to truly fit your bed frame and any unique requirements. Consisting of 1,000 encased springs, you can expect great support and superior comfort from this mattress. Hand tufted with finest materials, the Pocket 1000 mattresses is perfect for any master bed. Designed with a unique pocket spring this mattress has been carefully designed to distribute your weight evenly across the surface for the best nights sleep and the utmost comfort. Durable Soft Knit Fabric is used to compliment this mattress. 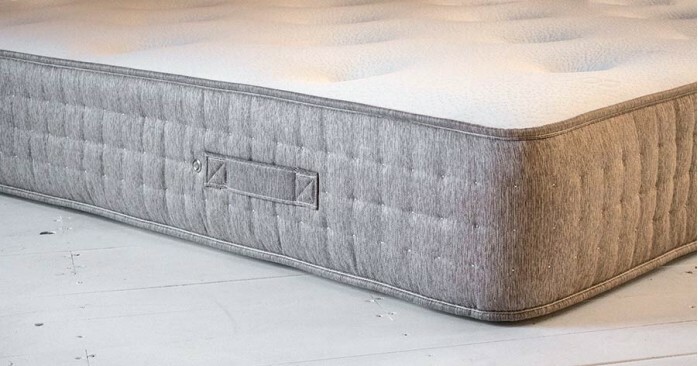 Handtufted by experienced textile experts, the Bespoke Pocket 1000 Mattress offers a traditional look with supreme quality not found in those factory made mattresses.The use of hypoallergenic fillings, this mattress has been designed to be a choice for allergy suffers looking for an undisturbed night's sleep. The Pocket 1000 Mattress is 30cm deep, which provides room for the support of the pocket springs and additional support from the internal fabric. With this thickness, the mattress will fit most bed frames. Using pocket sprung technology, the Pocket 1000 Mattress has been designed to contour your body and provided additional support and comfort. 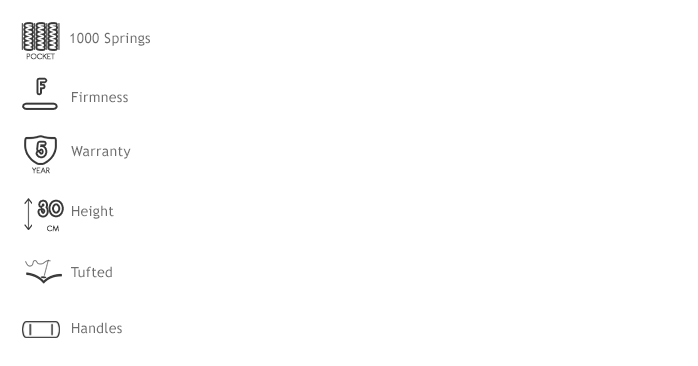 The pocket springs offer a superior feel compared to basic mattresses from the support of 1000 pocket springs. The placement of springs is carefully considered to ensure movement doesn’t wake sleeping partners and provide localised support. Designed with consideration of airflow around the mattress, the Pocket 1000 Mattress is finished with the luxurious ‘cool touch’ soft knit cover, which supports its durability, comfort and overall support. The Pocket 1000 Mattress is a relatively firm mattress, providing a balance between support and not being too rigid. 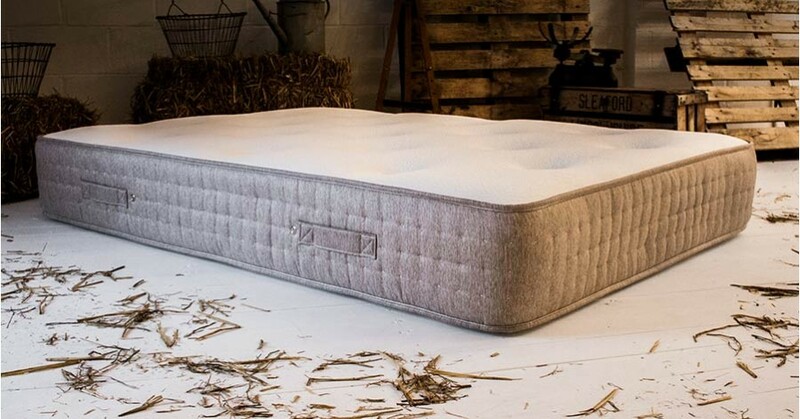 We use only the finest materials in our mattresses which have been carefully chosen for their quality and offer a 5 year warranty as we are confident in the mattresses durability. This pocket sprung mattress is a popular choice from our range as it offers comfort, durability and expert workmanship. The Pocket 1000 Mattress is a great addition for master bedrooms. 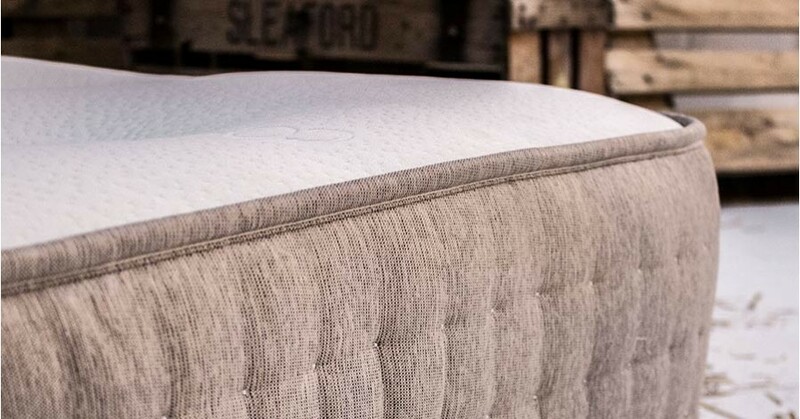 Due to the spring count radius, mattress fillings and traditional imperial measurements converted to metric for manufacturing purposes, the exact length and width of the bespoke mattress will vary but we will ensure that it still fits adequately with our bed frames. The dimensions are given purely as a guide to match the mattress and bed and we can't guarantee precise measurements in metric.